In conjunction with my switch to a more proficiency based classroom, I decided to dedicate one of my bulletin boards this year to proficiency levels and the four modes of communication. 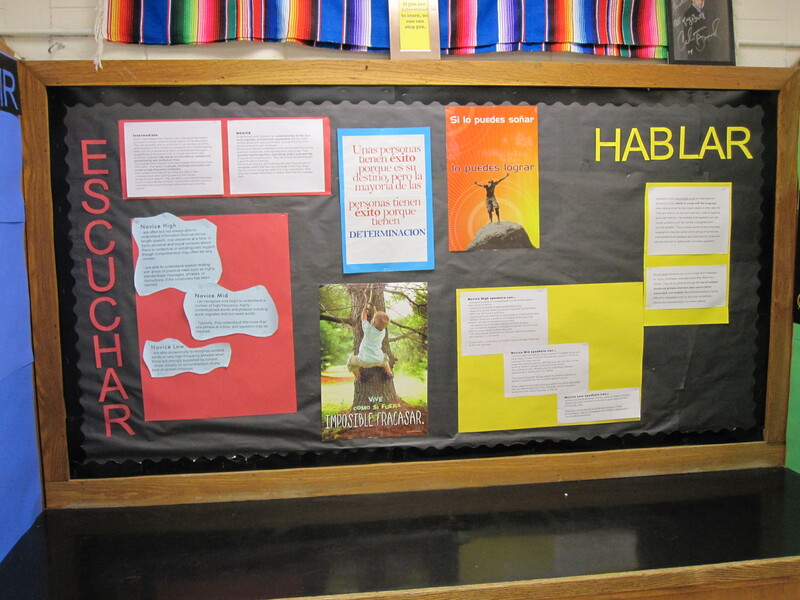 The main bulletin board I used for the Listening and Speaking sections, Escuchar y Hablar. For each section, I copied the ACTFL descriptors of a novice learner and a intermediate learning, since these are the ranges my students will be in. I also included the capabilities at Novice-Low, Novice-Mid, and Novice-High for each. In the middle are 3 motivational posters.This bulletin board sits above a counter top in between two side cabinets/closets. 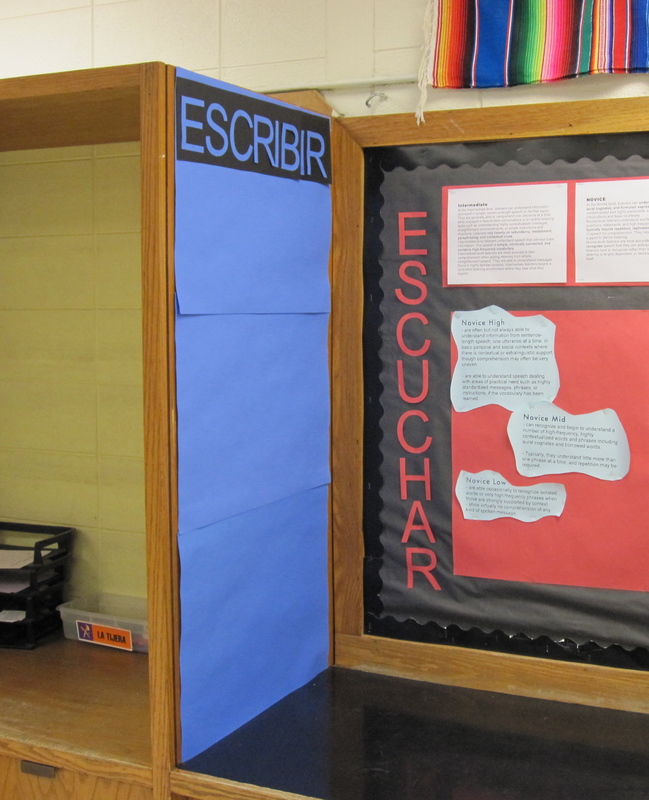 So on the side of these cabinets, I covered it with construction paper to extend the bulletin board. One the sides, are the Writing and Reading sections, Escribir y Leer. As you can see, I still have some work to do on these. 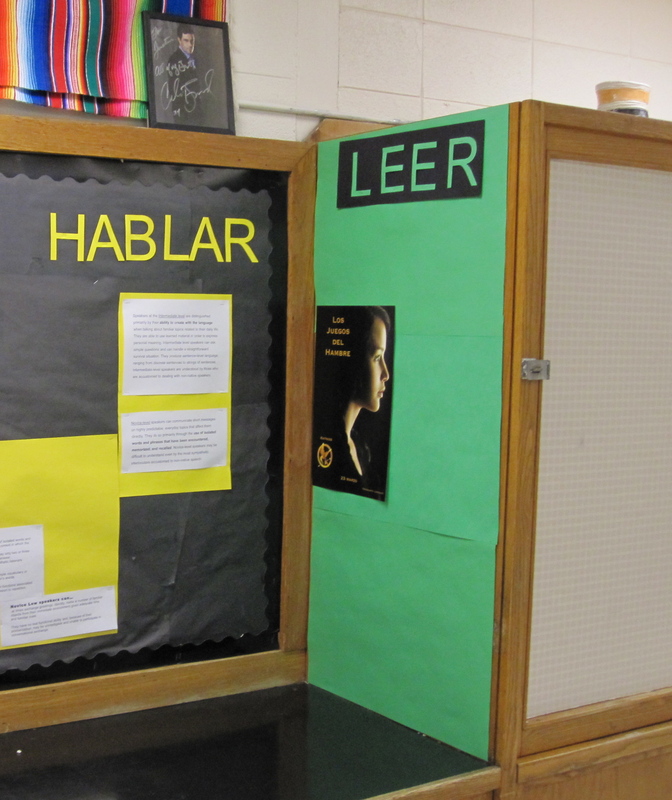 But in the meanwhile, Katniss y Los Juegos del Hambre is holding up well on the reading side. Lastly, at the front of my room are the objectives posted on sentence strips. Each student has a list of the unit objetivos as a checklist, but this is put up for a visual reminder of our goals for the unit. 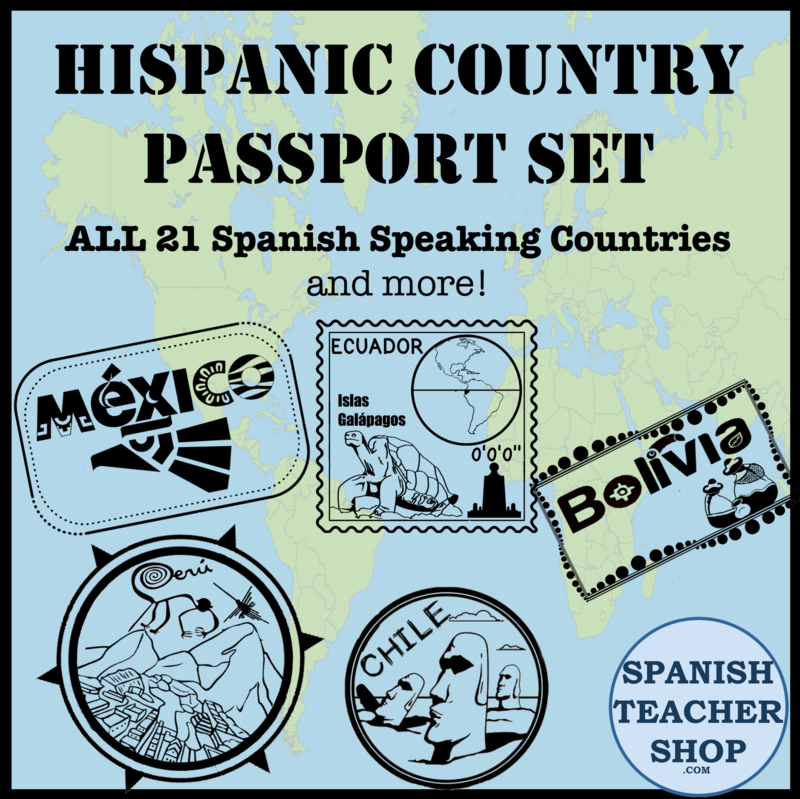 I have them divided into two sections: lenguaje and cultura. Our administrators love seeing objectives posted in the room as well. I can write specific objectives and goals for today’s particular lesson on the white board below this sign. This entry was posted in Bulletin Boards and tagged bulletin boards, communication, proficiency. Bookmark the permalink. It is SO funny that I found this on pinterest today! We just had a HUGE staff meeting about using standards in the classroom. I’ll be using this and adapating. I’m wondering though if you have any ideas for posting state curriculum standards. Elizabeth, what state are you in? You might just print each standard on a 8×11 cardstock so you can hang up when you are working on that particular standard.